Honeysuckle bird stamp- Stamp a Cake's range of Food Grade Stamps. An easy, fun and effective way to decorate. 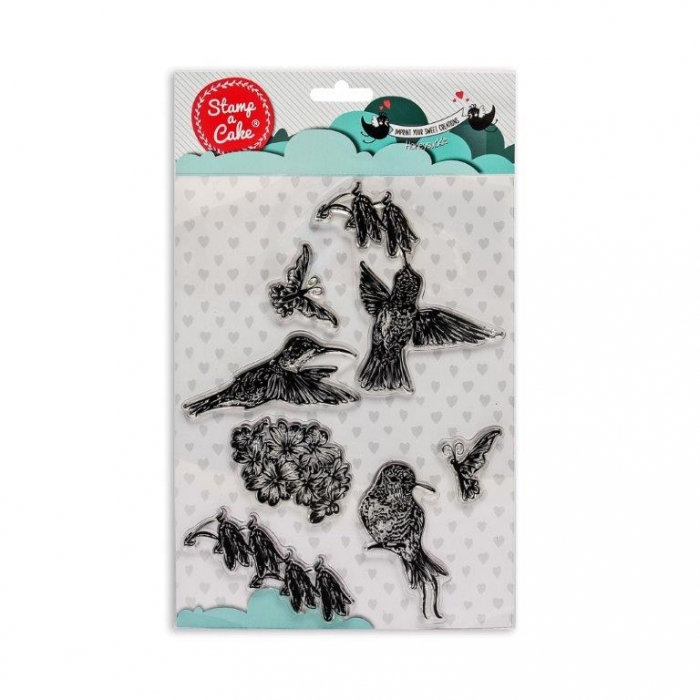 Birds, butterflies and blossoms make up the 8 stamps on this collection.